The selling point in Actua Tennis is that it is featured in a 3D environment. The only problem is that none of it is very good 3D, even for its time. We are presented with adults in the stands that look like 3D stick figures due to the fact that they are as thin as a piece of cardboard. I would rather see a completely empty stadium or nothing at all instead of cardboard crowds. Running in 3dfx, you’d expect the game to make full use of hardware accelerated mode, but no. 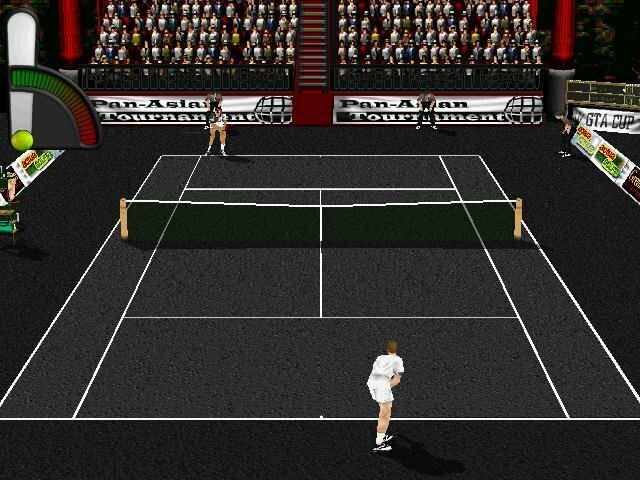 The view of the players hitting the ball was so bad the first time I saw it that I banged on my computer to make sure the 3dfx card was working. 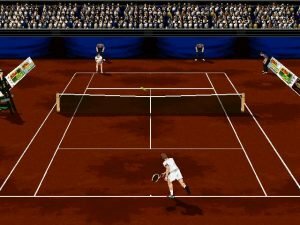 The game supports not only a tournament mode but also doubles, mixed doubles, and singles (men and women). They even used the real players’ names from the actual tour to spice up the excitement of the program. 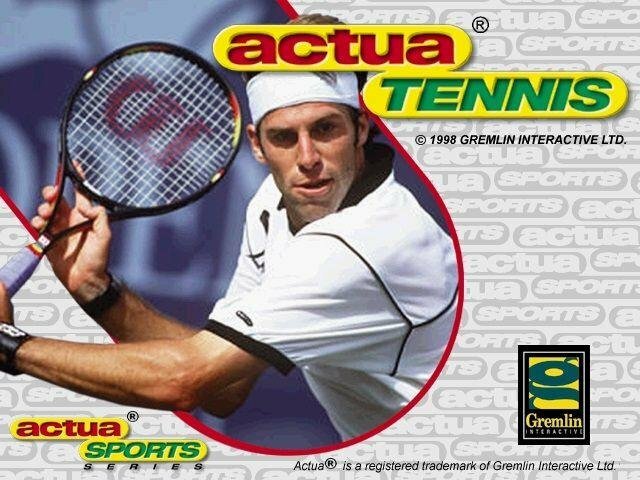 It didn’t seem to matter though, as Actua Tennis is not worth the price of admission.